Thomas J. Elpel developed the Classroom in the Woods programs over ten years ago with Harrison public school and has been refining and improving it ever since. 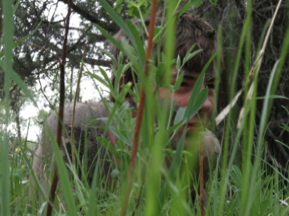 It is a course based upon fun in the outdoors where kids can regain some of the nature appreciation that has become so lacking in today’s society. We offer a number of options for the Classroom in the Woods program so that we can meet the often challenging needs of schools, including scheduling, budgeting, and curriculum requirements. 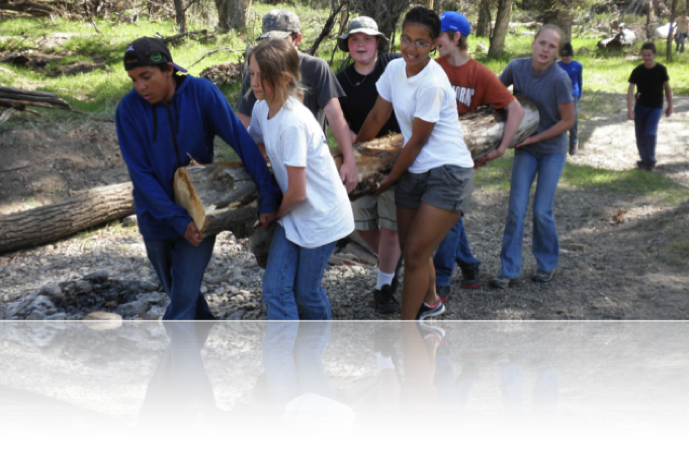 Classroom in the Woods programs are approved to help schools meet the OPI mandated “Indian Education for All” requirements. We can assist with grant writing to help raise funds for your school to provide the Classroom in the Woods experience to your students. 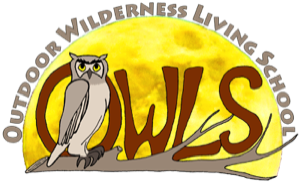 At OWLSchool, first and foremost we believe that learning should be fun, and there is no shortage of that as we take your students on an adventure in the great outdoors. 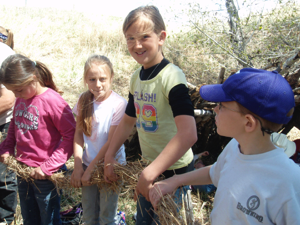 We cover a range of activities with age-appropriate material such as animal stalking games, fire-safety, and story-telling for younger grades, or wild-clay pottery, flint and steel fire-starting, grass ropes, shelter construction, and botany for the older grades. We coordinate with teachers to design the optimal curriculum for each class. 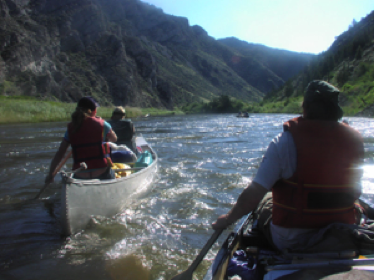 Classes are usually held at our beautiful River Camp facility on the Jefferson River near Whitehall, Montana. Other locations may be an option. Grants may be obtainable to help offset class fees. 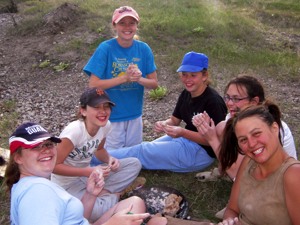 The Ancient Skills Immersion is a unique opportunity to provide students with an in-depth nature and wilderness skills experience they will never forget. Students build or repair and camp in our primitive shelters (usually wickiups built of sticks and bark). They make fires with the bow and drill or flint and steel methods and learn ancient cooking techniques. Participants get hands-on experience with plant identification and plant uses, plus stalking and nature observation skills, self-sufficiency, and teamwork. 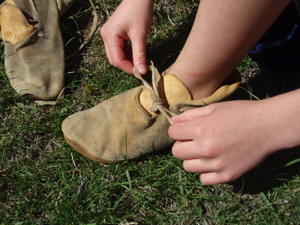 Kids learn botany and ecology, engage in science, history, and writing throughout the experience. Regardless of their past experiences in nature, students come away with memories that last a lifetime. The Ancient Skills Immersion experience usually takes place at our Cottonwood Camp on the Jefferson River near Willow Creek, or on other properties that are suitable for our needs. The journey of Lewis and Clark helped shape the destiny of our country, and we believe that every student should have their own epic journey to shape their own personal destinies. 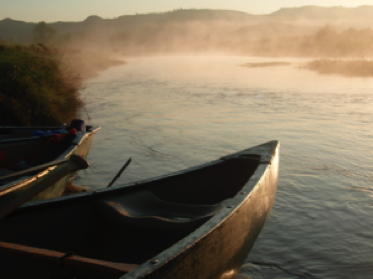 Twenty years from now your students most likely won't be talking about a movie they watched as teenagers, or how they wandered around the mall for hours on end, but there is no doubt they will remember how they spent a week canoeing the Jefferson River following the trail of Lewis and Clark. For many students, this experience is not only the adventure of a lifetime, but also a confidence builder that can empower them to pursue their greatest dreams in life. This program is custom-designed to meet the needs and goals of the teacher. We can do an extended base-camp experience, a canoe trip down the Jefferson River, or a backpacking adventure into the wilderness. 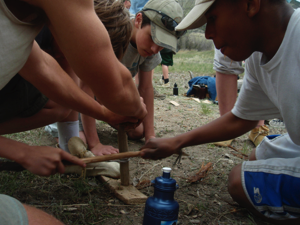 Students learn lifelong skills for responsible outdoor recreation, an environmental stewardship ethic, and essential wilderness survival skills that every person should know. Throughout the experience, they are immersed in natural science and ecology, local history, and the beauty of the natural world. Costs vary depending on the style of adventure, the number of participants, and the number of days. Please start with an Ancient Skills Immersion program prior to booking an Ancient Skills Adventure. "I have pondered the simple construction of the mousehut... sticks, grass, and bark piled on each other, but yet it is one of the warmest shelters I have ever encountered. How interesting that a mouse, a hundred times smaller than myself, can survive performing the same tasks we did to make the shelter. Also, how smart this creature must be to come up with this simple, but yet, complex design. In my opinion, you must experience it to fully understand what it is all about... if you go out on a limb and do this, your eyes will be opened up to something special." --John B.